The Quodlibet Ensemble is a group of unique, accomplished, and dedicated musicians who seek to learn from each other and explore the possibilities of an abundant musical spectrum. The players hold degrees from the Yale School of Music, Curtis Institute, Juilliard, New England Conservatory, and Harvard University among others. 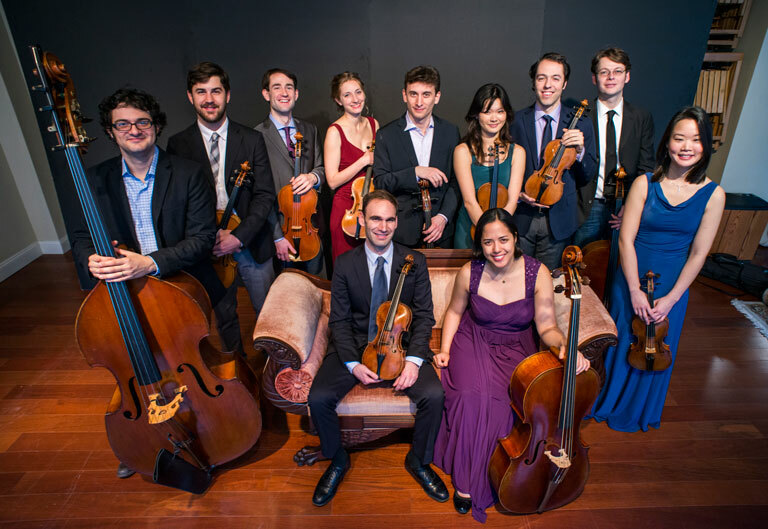 Currently they pursue careers as performing artists in both solo and prominent chamber ensembles ranging from early music group the Sebastians, to contemporary ensemble New Morse Code, to the Amphion String Quartet. A few of the players also serve as faculty at universities such as the University of North Carolina at Chapel Hill and Connecticut College in addition to their performing careers. The group was founded to be a place where a wide variety of musical ideas can come into realization, bringing together performers from different backgrounds (mainly early music and modern). Quodlibet Ensemble has performed at Yale University, both at the British Arts Center and Dwight Chapel, and also performs every year for the Maxwell Shepherd Arts Fund in Collinsville, CT as well as the Spring Glen Church in Hamden, CT. Their debut CD, Quodlibet Ensemble: Concerti Grossi, in which all players adapt gut strings, was released in the fall of 2014.